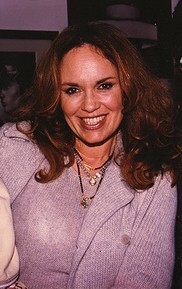 Catherine Bach (born March 1 1954) is an American actress. She acted as Daisy Duke in The Dukes of Hazzard. She also played Linda in Murder in Peyton Place. She was born in Warren, Ohio. Catherine Bach Facts for Kids. Kiddle Encyclopedia.